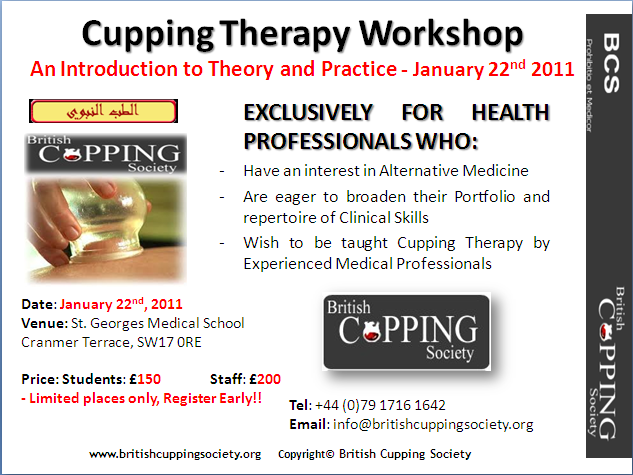 Following the success of our workshops last year and the ‘International Roadshows’ we are delighted to introduce our next workshop: ‘Cupping Therapy: Al-Hejamah – An Introduction Workshop’. 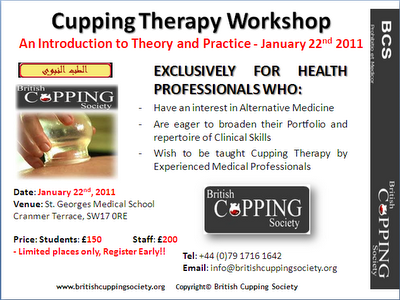 See attached below welcome letter, workshop details and workshop registration form. Please return all registration forms to the address provided in the pack. Due to high demand for places, the closing date for applications is 15th January 2011. Late applications will only be considered subject to availability.